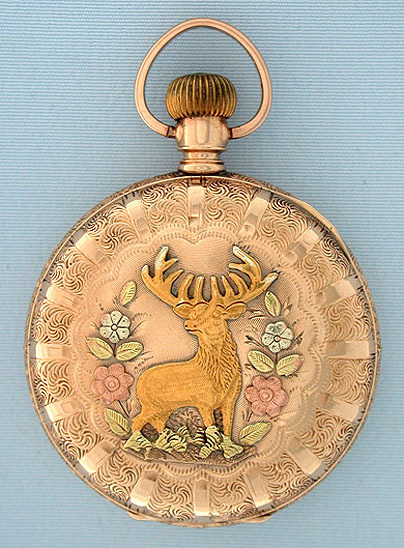 Attractive Waltham multicolor 14K gold hunting case ladies antique pendant watch circa 1901. 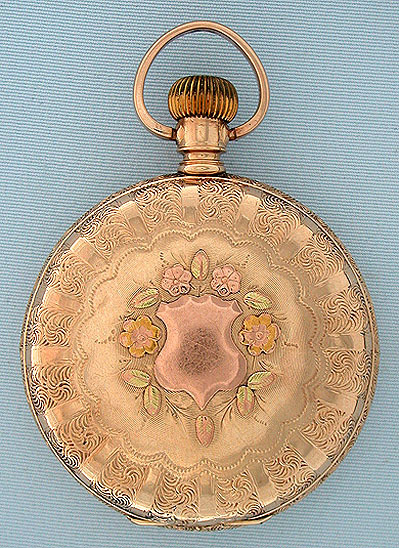 Lovely engraved case with applied decorations in various colors of gold. 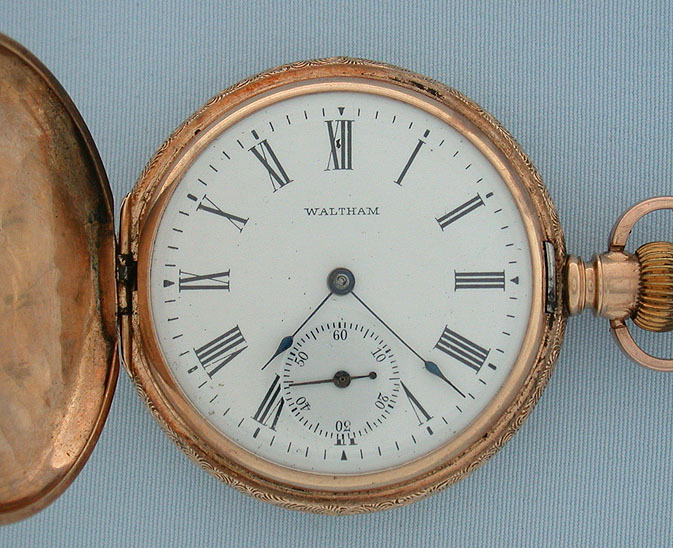 White enamel dial (slight scratches) with black numerals and blued steel hands. 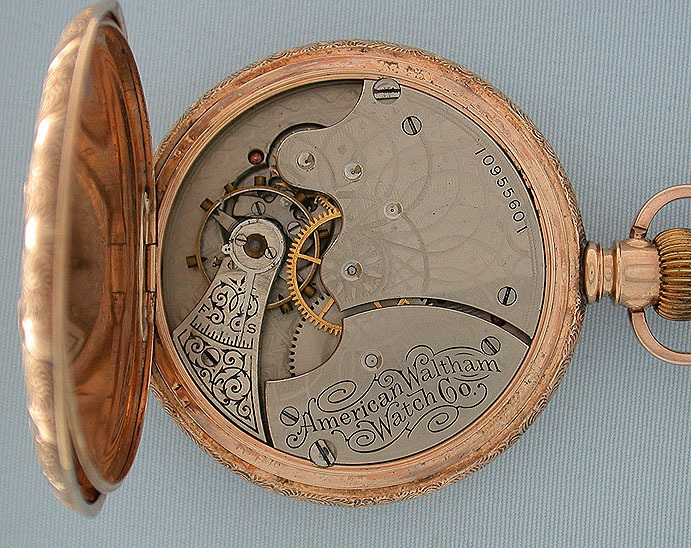 Nickel 7 jewel 6/S movement.